it's official: bathrooms have gone smart. 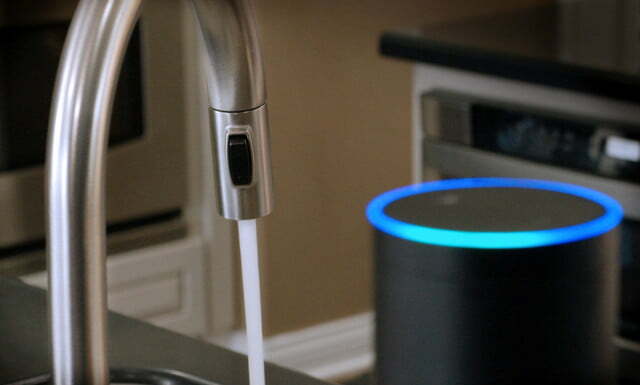 with the release of delta's voice activated kitchen faucet and kohler's latest suite of fixtures that work in sync with amazon's alexa, you can now use your wifi to interact with the internet in ways you never thought possible. it was only a matter of time. kohler's konnect enabled fixtures sync with alexa and allow the user to voice control anything from the lift of your toilet seat to the toilet's footwarmer, all the way through to a voice activated flush. the toilet that knows your playlist, bidet preferences, and welcomes you when you walk up to it. a very contemporary "throne," if you will. 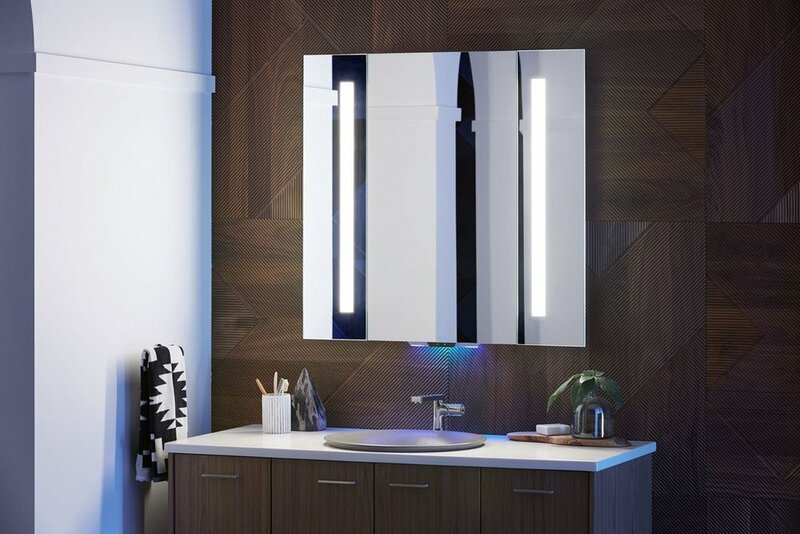 the medicine cabinet that lights you up perfectly. an ambient motion-activated nightlight provides a subtle glow for when you're walking up to your night-lit toilet. kohler intended the mirror to make music, news, or podcasts available to listen to during your morning ritual. another intention for the alexa incorporation is in the way of shopping lists; during makeup application or showering, you'll easily be able to ask alexa to make a shopping list of the items you're running low on. the mirror nightlight at work; no need for fumbling. functionality depends on how far away your toilet night light is though. "alexa, please flush." there's nothing particularly revolutionary here - motion-activated flushes are available in almost all commercial spaces. the technology that's already stealing the show across several brands are voice-activated faucets that have been debuted from both kohler and delta. tell alexa the amount of water you want filled and the temperature, and she'll make it happen. the kohler commercial of a dad holding a baby whilst filling a temperature controlled 8oz bottle in the middle of a night with the technology made me feel things that a faucet commercial has never made me feel. amongst other "konnected" devices released at the 2018 ces show was part of kohler's digital showering system, the dtv+, which you'll now have the option of voice controlling. set individual temperatures for multiple shower heads, voice control the system on/off, set spa timers for water tiles, and sync music and light with your showering experience. do all this with your voice and phone. it's pretty incredible/terrifyingly futuristic. i'm a sucker for gadgets, but in the way of devices, i'm not sure if i'm ready to give up my manual valve trims for a voice controlled bathroom - i don't have reliable enough wifi yet, nor do I like to hear myself talk that much. what are your thoughts about the systems? what technology are you wanting to see in your bathroom?